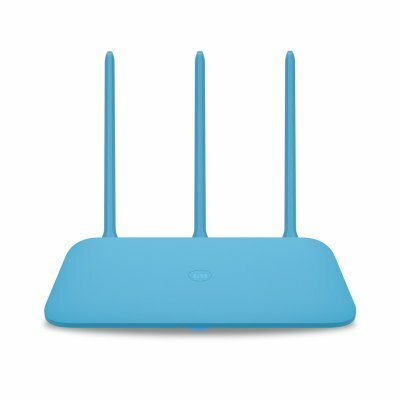 Successfully Added Xiaomi Mi 4Q Wireless Router - 2.4G WiFi, 3 External Antennas, APP Control, 450Mbps to your Shopping Cart. This Xiaomi Mi 4Q Wireless Router comes with support for single-band (2.4GHz) Wi-Fi 802.11 b/g/n, 3X3 MIMO technology, a Qualcomm QCA9561 processor, 64MB of DDR2 RAM and 16MB of NorFlash storage. There are three antennas on the Mi Router 4Q that offer a maximum combined bandwidth of up to 450Mbps. It comes with a regular 5V/ 1A (5W) adapter, has an ambient temperature tolerance of 0-40 degrees Celsius, a storage temperature tolerance of -40 to 70 degrees Celsius, and offers WPA-PSK and WPA-PSK2. It supports apps on Android, iOS, and Web. The MiNET button on the Mi Router 4Q offers fast access to Wi-Fi when connected with Xiaomi's range of smart home devices..